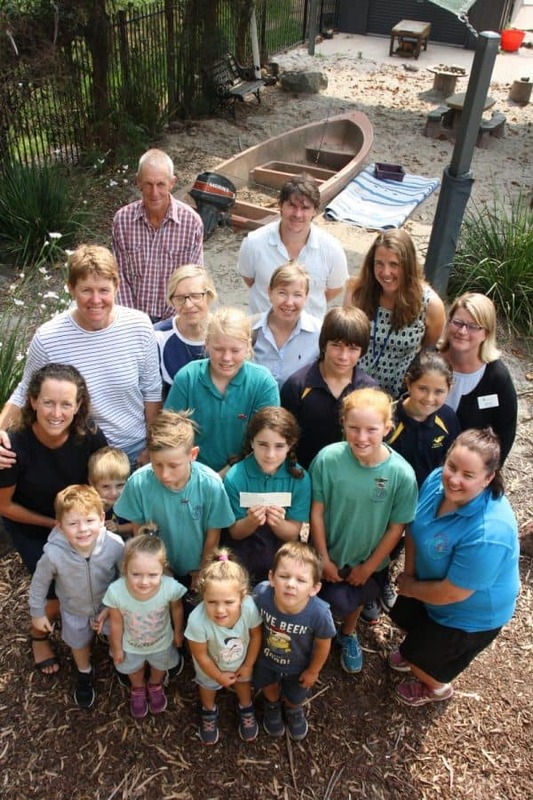 THE Yanakie Campdraft Committee handed out $8000 in cheques this week to local community groups. Beneficiaries included Prom Country Aged Care, Foster and Fish Creek primary schools, Prom Coast Centre for Children, Foster Historical Society, Foster Youth Assist and disadvantaged people. Committee secretary and treasurer Bec Vuillermin said the organisation kept enough money to upgrade its grounds and gave any extra away to community groups. “We say, ‘Well, the community could benefit from it, so we put it all back.’ At some stage us drafters are all going to use the facilities. Our kids will use the kindergartens or the schools, whereas Lachie (Bowman, committee vice president) will be in aged care,” she said. Bec said the campdraft had been operating for 26 or 27 years. First up, it was staged at John Davies property at Foster before a move (necessitated by its growing popularity) to Yanakie. “We have people come from New South Wales, South Australia – all over the place,” Bec said. The next draft will run from Friday, February 15 to Sunday, February 17.